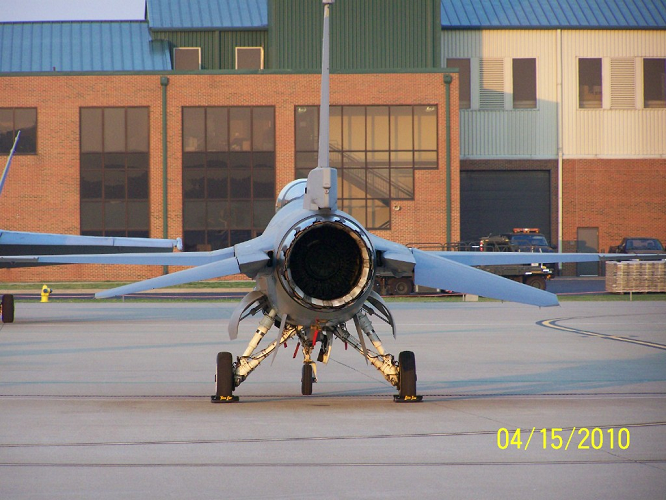 Why do F16's have anhedral tail wings? I just wonder why F16's have anhedral tail wings? Is it kind of a design choice to increase maneuverability by compromising stability? The purpose of the anhedral is to get the tail surfaces away from the wing wake. The distance between the wing's trailing edge and the horizontal tail is low enough so that the tail needs a vertical offset in order to have full dynamic pressure available locally. Earlier designs moved the tail up for the same reason (Lockheed F-104, Grumman F-9F) until it became obvious that at some angle of attack some airplanes could get into a deep stall. Especially with the wider angle of attack range possible with swept, low aspect ratio wings no position above the wing's plane is safe anymore. For that reason all modern fighter aircraft position the horizontal tail as low as practical. This in turn has led to situations where ground effect is so strong that other tricks had to be employed to get the airplane to perform as intended. Stability is not affected, aside from a small positive contribution to the sideslip-induced rolling moment. This is easily compensated by adjusting wing dihedral properly. Or, in other words, the F-16 wing can have zero dihedral because the horizontal tail in combination with the ventral fins reduces the rolling moment of the vertical tail in a sideslip to the desired value. The F-4 has a similar anhedral on its tail. The purpose is to give better manoeuvrability in high angle of attack scenarios. I suppose the same should be true for the F-16, as they frequently enter high angle of attack profiles. Not the answer you're looking for? Browse other questions tagged aircraft-design f-16 or ask your own question. Why the Antonov AN-225 has negative dihedral wings combined with a positive dihedral horizontal stabilizer? What aircraft design elements contribute the most to sustained flight? Why does the Falcon 900 have anhedral wings? Why are smaller wings in the front with these VTOL aircraft? Why do cargo aircraft still have floors?